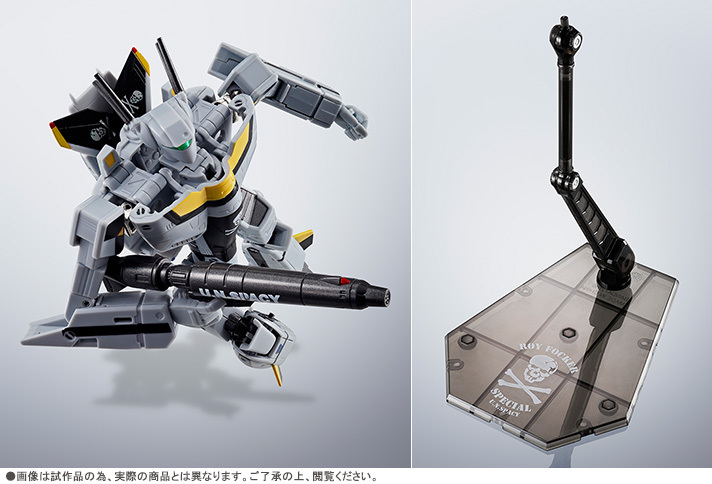 Hi-Metal R is an updated redo of VF Hi-Metal. 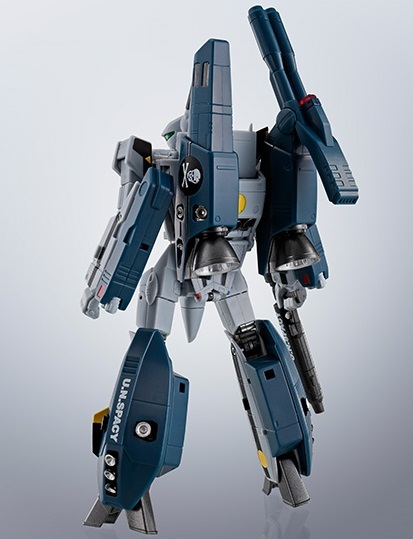 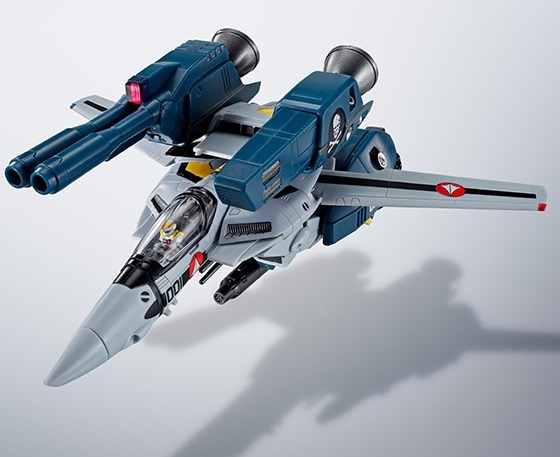 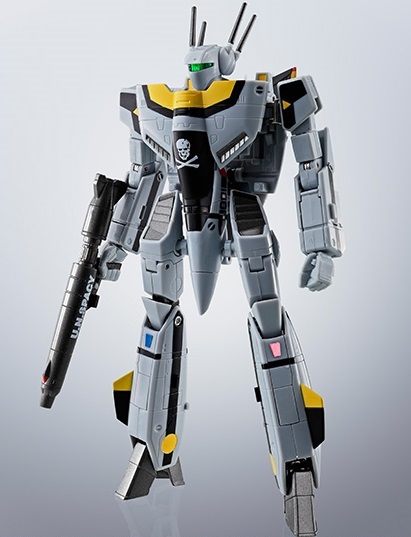 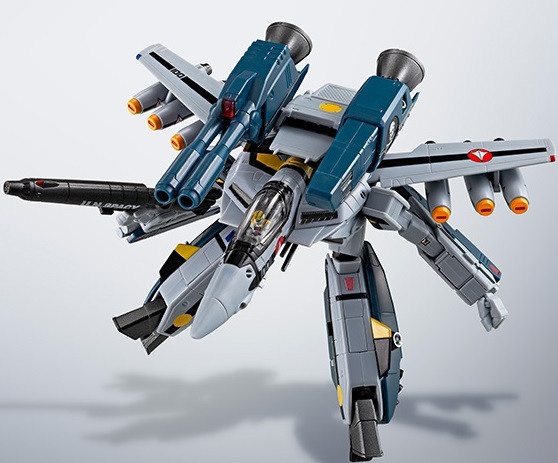 This VF-1S Strike Valkyrie Roy Focker Special is a Tamashii Web Exclusive. 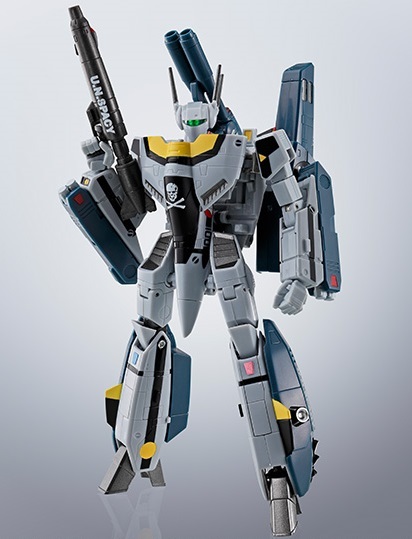 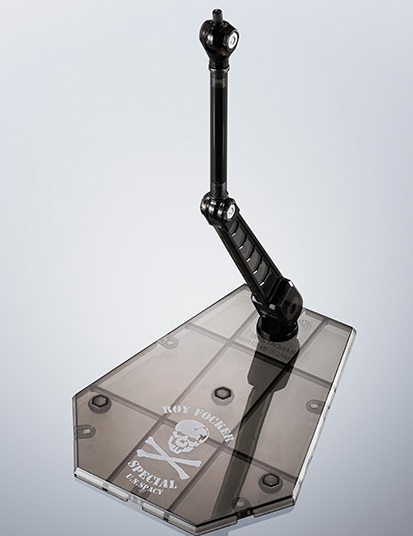 Comes with Strike Packs and a custom Tamashii Stage for Skull Leader. 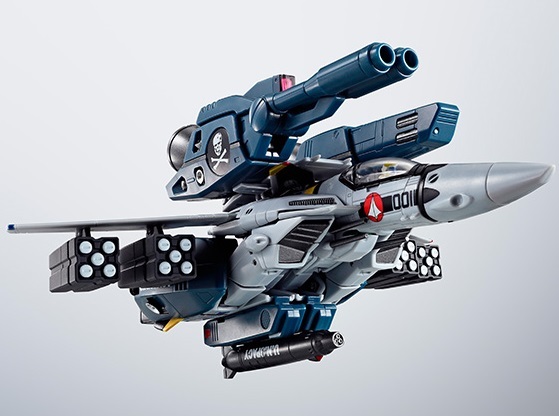 Includes gun pod, missiles, extra hands, two types of head lasers, canopy cover, replaceable intake covers, and landing gear parts. 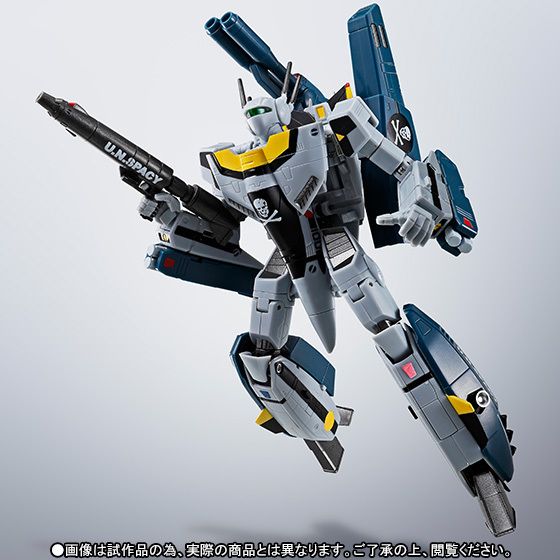 Dark gray coloring is meant to match Macross: Do You Remember Love's subdued palette. 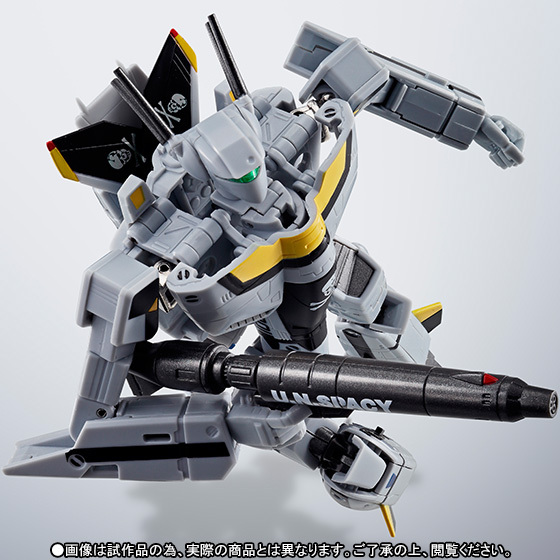 Scheduled for release in November 2015 for 9,504 yen.